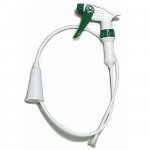 SPRAYER DESCRIPTION: This is a basic trigger sprayer which enables you to hand pump/spray out of any jug. 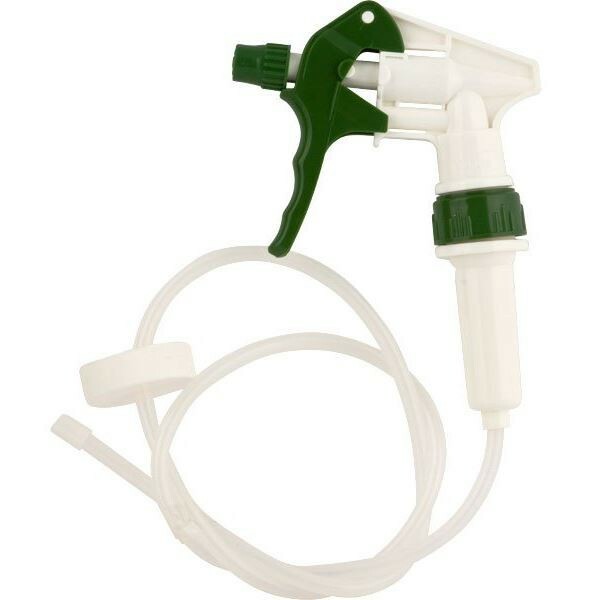 If you need a sprayer in a pinch, this can do the job. It comes with three feet of lead, which is set down in the tank you are using for holding the diluted solution you want to spray, and as you squeeze the handle the solution will be siphoned out and sprayed out. Don't expect much of a reach and this is not designed for any high volume job – your hand will get tired pretty fast.